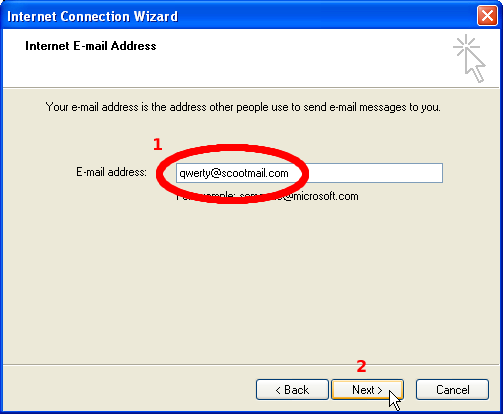 The following describes how to configure Microsoft Outlook Express to work with the Tidymail system. Please note that any red rings indicate areas of specific interest in the given window, they will not be present when you run the program. Select the Set up a Mail account… option which should take you to. Enter the human name you will be using, ie John Smith. 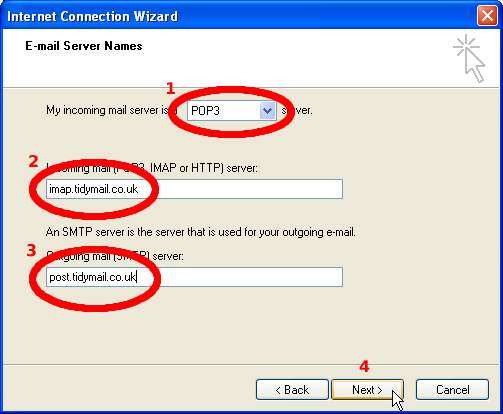 Enter imap.tidymail.co.uk for the Incoming mail (POP3, IMAP or HTTP) server option. 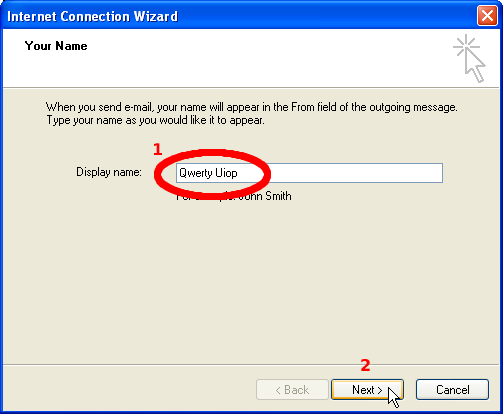 Enter post.tidymail.co.uk for the Outgoing mail (SMTP) server option. Enter the email address you are using, ie john@scootmail.com for the Account Name. Note that the system will prompt you with just the bare name john for this field. You must ensure the value is the full email address. 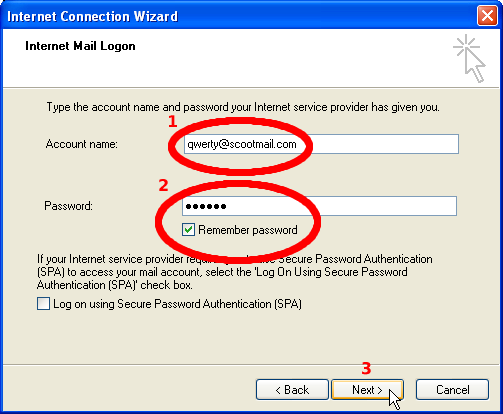 Enter your password if you wish the system to remember it. 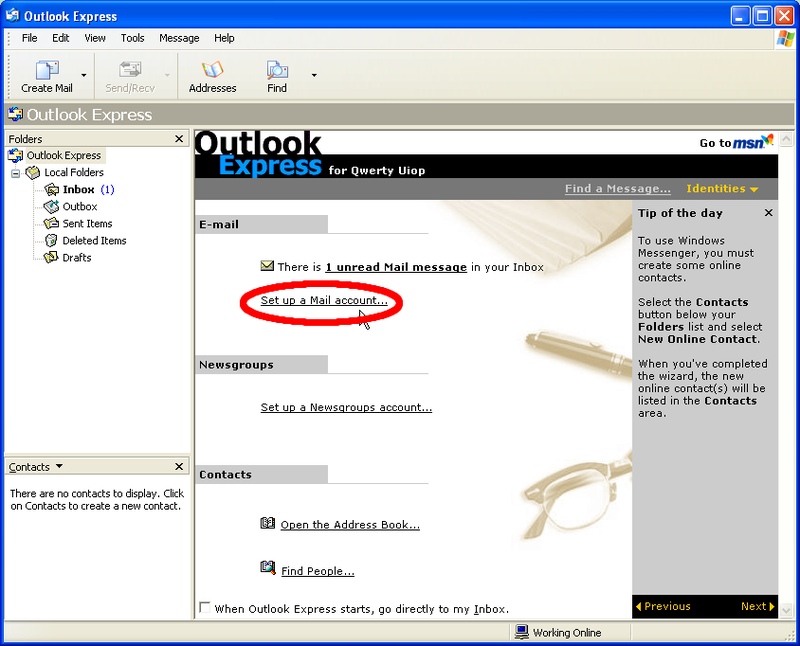 This concludes the first part of setting up Outlook Express to work with Tidymail.